Households (since 1997) and the corporate (since 1999) sector massively increased their borrowing. 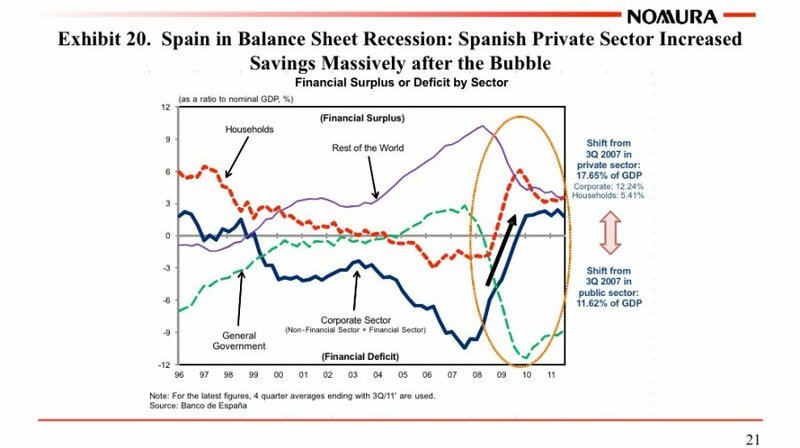 A big part of the financing of the increased borrowing came from the rest of the world that increased it's savings in Spain by a huge amount. On the contrast the Spanish government decreased spending dramatically. During the crisis the government had to step in because of the high rise in private savings (and lower consumption and investments).